Candid portraits are often the first type of portraits photographers learn to make, and they are probably the most often requested by clients. When you view a candid photograph, it feels like you truly see the subject being themselves. Here are five keys to help you consistently make great candid photographs. You need to be known to always have your camera and always be making pictures. At first, it’s obvious to anyone that sees you that you have a camera and they notice it everytime you lift it up. But after a short while, everyone will start saying, “Where’s your camera?” if you show up without it. When they become accustomed to seeing it on you all the time, they will be more at ease and you’ll get more intimate and natural looking photographs. This is especially true with your own kids. You should also use it make pictures of plenty of things that are not people. If you only photograph people, then when the camera comes up, they’ll know it’s a people picture and it may put them on alert. But if you include flowers and sunsets and food and bugs and everything then they will be more comfortable. Lastly, don’t make a big deal out of having your camera or using it often. You don’t need to show everyone all the portraits you make as you go. If you do, they’ll likely feel more intruded upon and they’ll just see things about themselves to critique and won’t like the camera coming up. If you show parents an occasional shot of their kids at the party, they’ll love it. If you send a photograph a day or two later from an event of a moment or a loved one, they’ll love it. Use your opportunities to share pictures wisely and folks will be much happier to have your camera as your plus one at events. There are two things that make great candid portraits and you only control one of them: Great expressions and great light. Since you’re working candidly, you probably aren’t influencing the expressions very much. But you can go to the places where the light looks great and wait for great expressions to happen there. Don’t use much time in spots where the light just isn’t stellar. In fact, you might even suggest that people go to the spots where the light looks great to have dessert or to chat or whatever. When they’ve seen your pictures in the past they’ll trust your advice and move to the better spot happily. This kinda fits with following the light: Finish in black and white. When you utilize black and white you put an emphasis on the great light and it makes an impact on the viewers. It also helps your photos to look more timeless. But it works best when the light is truly great. You should use a telephoto lens. It allows you to stand back but still fill the frame with your subjects and give an intimate feel. Getting close to the subject makes the viewer feel close to the subject, but you can’t do it with a wide lens. 50mm on a full frame camera is too wide. Go for at least 85mm. My 42.5mm lens is practically glued to my camera (it’s an 85mm field of view) and it does a great job at filling the frame from a moderate distance. Longer lenses are also ideal. I love to use a 100-400mm lens and really isolate my subjects from the background and the distracting elements around them. A less expensive super zoom, like an 18-200mm, a 28-300mm or a 14-140mm are also excellent choices. The key difference between beginner photographers and experienced photographers is that the longer you shoot, the fewer pictures you show. One good picture makes a big impact, but four good pictures of the same thing water it down and bore your viewer. You need to be highly selective in what you share with others so that they think everytime you trigger the shutter you make a great picture. It will make it easier for you and your camera to be invited to future opportunities. When you are making pictures and perfecting the shot you will undoubtedly get caught most of the time. That’s OK and can be beneficial as long as you follow through properly. If your subject looks over and sees you clicking away and you immediately turn away and try to act as if you weren’t making pictures then you look like you were being sneaky and being sneaky will get you in trouble. Instead, follow through by smiling and continuing to make pictures and give a little wave. If you continue clicking the chances are that the person will smile and you’ll probably get the most genuine looking smile that person has ever had in a photo. This is true with both strangers on the street and family members at home. Instead of turning away, follow through by engaging your subject and it’ll go better for you. Making candid portraits is fun and can help you make some of the best pictures of your career. I make these with my own family and friends and I make them for clients, too. Acclimatize your subjects to the camera, find the great light, share the best shots and follow through with a smile and you’ll be making great candids everytime you go out. Given tips are really helpful for making candid portraits. But I really need more help with detail information about lighting effect. Do I choose sunshine or dark place? How I will adjust light effect with subject? Farhana, Those are great questions. 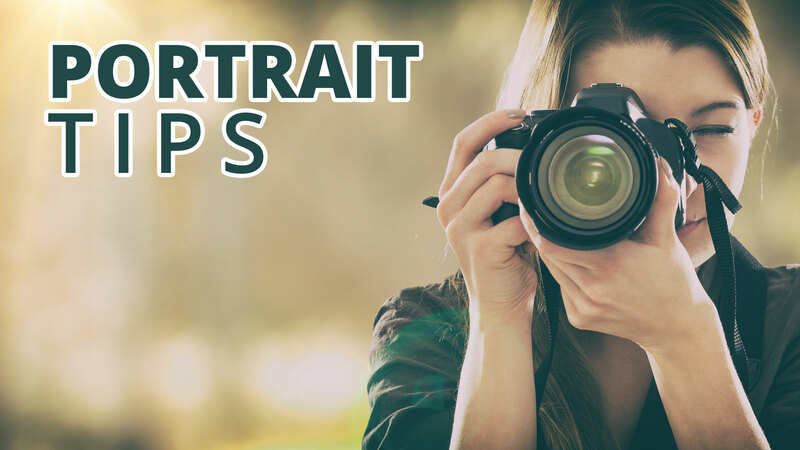 Check out the other Portrait Tips columns for more information. Since these are candid photos, we don’t usually get a chance to make those choices. Look for soft light from a big source, like reflected off a building. There are lots of other columns with detailed answers, too. Thanks a lot for kind reply with answers and definitely I will check other columns.